There are many ways to convert an Integer to String in Java e.g. by using Integer.toString(int) or by using String.valueOf(int), or by using new Integer(int).toString(), or by using String.format() method, or by using DecimalFormat, String concatenation, or by using StringBuilder and StringBuffer etc. Some of them we have already seen on my earlier posts e.g. how to convert int to String and converting double to String. Even though those posts gives you tricks to convert primitive int to String and primitive double to String, you can still use those tricks to convert a wrapper class object e.g. Integer or Double to String in Java. Both are good ways, but out of those which is the best way to convert an Integer to String in Java? You will find out in this article. If you look at my earlier Java tutorials about converting int primitive to String in Java, you will find that I have advised for using String.valueOf()method for converting a number to String in Java, which is, in my opinion, the best way to convert an Integer to String in Java. Here are a couple of reasons why valueOf() should be your preferred option when it comes to converting numbers to String in Java. Btw, since converting from one class to another, especially from String to other data type or other class is quite common in Java programming world, we have already covered something like how to convert Enum to String in Java and String to Date conversion in Java. If you are interested in getting yourself comfortable with converting String to other useful objects, I would advise reading those tutorials. In this example, we want to convert the size of Collection i.e int to String and we have used the simplest way by concatenating integer value with empty String. This approach, on the surface, looks clean and easy but it's not the best way to convert Integer to String in Java. This code involves an extra object StringBuilder and if you are doing this concatenation on a loop or inside a high-frequency method, you are bound to create a lot of temporary objects and a lot of work for Garbage collector in Java. 1) The String.valueOf() method is overloaded for the different numeric data type, which means it provides a consistent way to convert a number to String in Java. You can use the same method to convert a Long, Float, or Double to String in Java as well. 2) The String.valueOf()method does not incur the cost of intermediate concatenation, which means no temporary object e.g. StringBuilder or StringBuffer is created. This means less memory and garbage collection overhead. 3) The valueOf() is made for conversion purpose and you will find this method in almost all value classes e.g. String, Integer, Float, Double, Long, BigDecimal etc. Using valueOf() keeps you code consistent across conversion of one data type to another. In the case of Integer, valueOf() method also able to cache frequently used numbers e.g. from -127 to 128. In short using valueOf() promotes best practice in Java. These were some of the reasons why I prefer the valueOf() method of String class to convert Integer to String in Java. Because of these reasons, I think this is also the best way to convert numeric data types like to Integer, Long, Float, or Double into String. The only drawback is that they use Autoboxing, but if you go little deep even autoboxing uses valueOf() to convert from primitive value to wrapper class e.g. when you convert an int to Integer, it calls the Integer.valueOf() method. So, next time you convert the number to String, consider using String.valueOf() if you are not using it already. 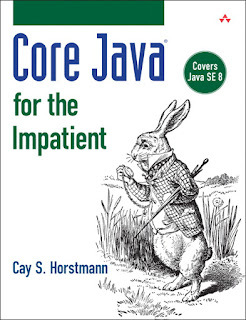 If you want to learn more about data type conversion in Java, you can either read Head First Java 2nd Edition or Core Java for the Impatient by Cay S. Horstmann which also covers Java SE 8, the latest version of Java. Thank you. Your explanation was really clean. Thank you Chirag, glad you like this article and my explanation.